An evergreen shrub with spiny glossy, wavy margined, dark green leaves. 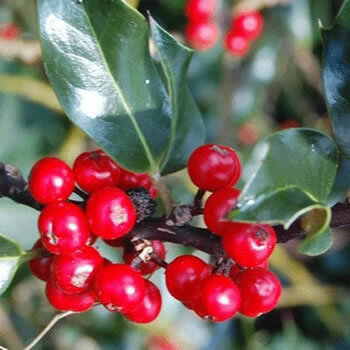 Insignificant flowers in summer producing long lasting red berries in autumn. Flowers from May to June. Fruits from September. Evergreen. Hardy.